Hanging out in the yard is always enjoyable. Lee Ann loves flowers and she has a knack for finding the right combinations for our flower gardens. 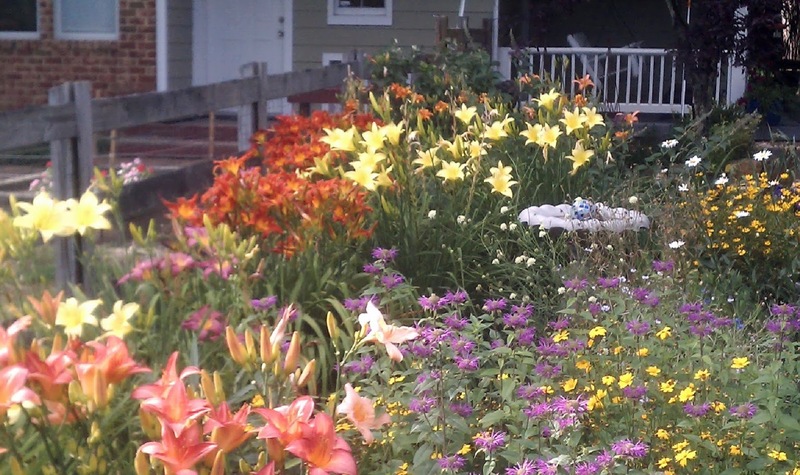 At this point, we have a large flower garden that runs along our fence in the front yard; it is really spectacular. But before I go into that, let’s talk about landscaping in general. What can you use as a functional, living screen with curb appeal? For over a decade, bike riders passing by our home have commented that they love our house. The old farmhouse-look with a wrap-around front porch and swing does wonders when all of the flowers are in season. We live on a designated bike route and we do get a bit of automobile traffic out front. To soften the traffic on the east side of our home (front yard), we have planted a living screen along a portion of the road front; arborvitaes, cedars and a mix of trees. That works well. Now we are focusing on the rest of the road-frontage. So what works for living screens in Central Virginia (RVA)? I did a little research and here’s what I’ve found. Dawn Redwood – I understand they are one of the fastest growth conifers and they make excellent screens. Under ideal conditions they can grow up to 5 feet per year. Dawn Redwood does well in areas of wet soil so I’m considering them for low areas that puddle after heavy rains. I understand they even grow in standing water. Once very hard-to-find trees, they are becoming more common due to recent demand that has boosted cultivation. The Dawn Redwood has fern-like foliage that develops in the spring and turns a gentle gold in the fall. 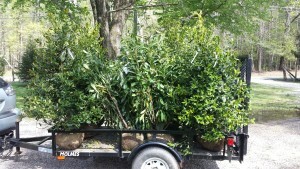 Nellie R. Stevens Holly (about 15 ft. high by 10 ft. wide)- Recommended by several landscapers and RVA nursery staff for privacy screens. They are large evergreen shrubs with bright red berries in winter and glossy, dark green foliage. A great tree for borders and fence lines? Well, according to almost everyone I have spoken to they are recommended as living screens here in Central Virginia given their fast growth rate. You’ll need to plant both a male and female version if you want the bright red fruit. Schipka Laurel (Prunus laurocerasus ‘Schipkaensis’): Often called “skip laurels,”, it is a dense growing evergreen shrub with evergreen foliage and springtime clusters of small white flowers; zones 6-8. Rated as one of the cold hardiest of cherry laurels, they generally grow 10 to 12 feet tall. They are commonly used as privacy screens or hedges, but require pruning one to two times annually. Skip laurels grow best in full sun to partial shade in areas of moist, well-drained soil. 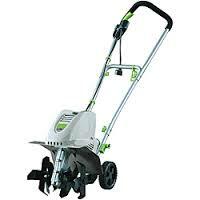 Recently purchased an electric Earthwise tiller; helps out tremendously when preparing the garden beds in the spring. UPDATE: I purchased and installed six Nellie Stevens Hollies and four Skip Laurels along the road front. We had the drive-way contractor build a small berm (about 2′ high) adjacent the road and we planted the shrubs on top of the berm. 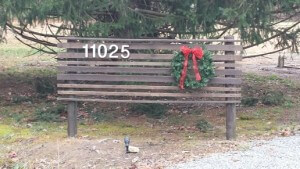 In between each holly, I planted a skip laurel. Front Yard Flower Bed: Liriope is an excellent plant for gardens. It can thrive almost anywhere it is planted but the ideal planting location is in spotty shade and moderately moist soil. It adapts well when in full shade or full sun as well as when planted in soil that is rather dry and poor in nutrients. Liriope is a great choice for hard-to-fill areas under deciduous trees where they have to compete with roots for moisture and nutrients. Commonly used to border walkways and planting beds, they can also be used to stabilize slopes. Back Yard Flower Beds: We have large flower beds in the back yard and we needed several hundred feet of landscape edging for the garden borders. Although I like metal edging, it is harder to install and way too expensive (about $3 per ft.) for large flower beds. 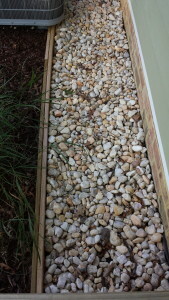 In addition, I found excellent reviews for the recycled plastic border “Terrace Board Landscape Edging .” I purchased over 500 ft. of this landscape edging from our local Ace Hardward store. I was in the store looking for a fountain pump and I noticed the Terrace Board was buy-one-get-one-free plus the 4-inch recycled landscaping border was on sale ($9.99 for 20 ft.). Glad I didn’t pass it up; it is a great flower-bed border for large areas and it is easy to install. One tip: lay it out flat in the sun before you install it. With the border stakes you’ll also need, the Terrace Board ended up being only $0.50 per ft. (great deal – thanks Ace!). Since I wanted to use what we had on hand in the garage, I had to get a little creative for a border in our backyard. 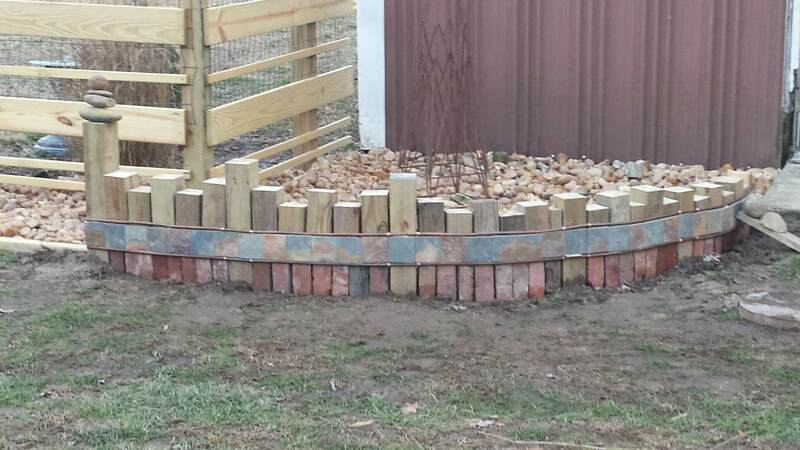 I needed a curved border at the end of the fence where it meets the corner of the garage/shed. I used brown river rock below the fence; it is low maintenance and the dogs don’t try to dig out under the fence. For the curved border, I used old brick from a demolished furnace chimney on the bottom where it comes in contact with the ground; solider course. To create the curve, I used copper tubing tied with copper wire to a few posts buried into the ground. 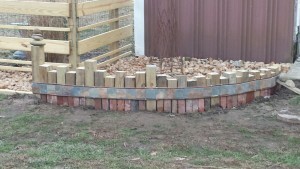 I then cut slate into squares to cover the top of the brick where it meets treated 4″ x 4″ post scraps of varying heights. It took a while to install, and still needs some fine tuning, but I think it’ll work out OK once the area is landscaped. 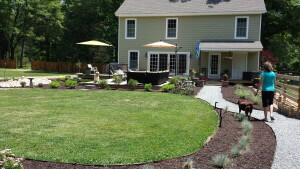 First, we prepared a general landscaping plan and theme on our own before researching and hiring a landscape designer. The designer we hired was helpful but she took way too long to prepare our plan. It was definitely disappointing given we had folks lined up for the installation but were unable to use because of the timing. Also, the landscape designer didn’t provide us with a “printed” plan; she only sent us a digital copy which was disappointing. Unfortunately, she left a few things out of the plan and she didn’t come over to explain the final plan in person. We would not recommend hiring her for sure. But I do recommend getting a landscape designer to help with your project. If you decide to hire a landscape designer, get a complete scope of work and schedule in writing before cutting a check to get them started. We were able to use the plan prepared for the general layout and plant selection. Installed the north fence. Fence pickets and nails purchased from Home Depot; approximately 145 feet of fence. Propane torch purchased from Harbor Freight for burning the wood. More info and photos of my Shou Sugi Ban Fence can be found here. Purchased materials from Home Depot for grilling deck that is being build adjacent our kitchen; extending the existing wrap around deck another 10 ft. or so on the north side of the house. 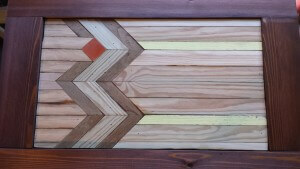 Also, purchased bead-board paneling for porches (under side of porch roof). 2015-01-30: Installed posts for grilling deck; 12x8x12 solid pier block below frost line; 4×4 deck support posts, concrete and gravel, etc. Fire Table Project: continued working on fire table project; cube reclaimed wood design completed for long-side of table base. Backyard fence border and ground cover installed. The landscaping border is about 2′ wide on each side of the fence. It is a treated deck-board border constructed by ripping deck boards in half and subsequently nailing the two 2 1/2″ pieces together (doubled the thickness). The ground was covered with thick landscaping fabric and subsequently brown river rocks purchased from Pete Rose. About 2 1/2 tons of brown river rock was needed for this project. Fire Table Project: designed the patio fire table. Also, completed the frame (treated lumber) and began building the sides using reclaimed wood designs. Completed one long-side table base design (sun and moon, night/day) and one chevron design for short-side (see pic). Dog run area: new backyard fence installed from back porch to garage/shed; about 45′ of fence. 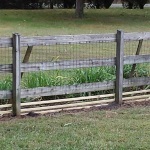 Three board fence using treated deck boards, green wire fencing, 4″ x 4″ posts and 1″ x 2″ boards. Also, installed posts for north fence (18 posts). I hired a sub-contractor (found on Craig’s list) with an auger mounted to his tractor for drilling the post holes, installing posts and the main portion of the fence. Materials purchased and delivered by Lowes; posts, deck boards, cement, and 1″ x 2″ boards. Approx. cost for this project, so far, is $800. 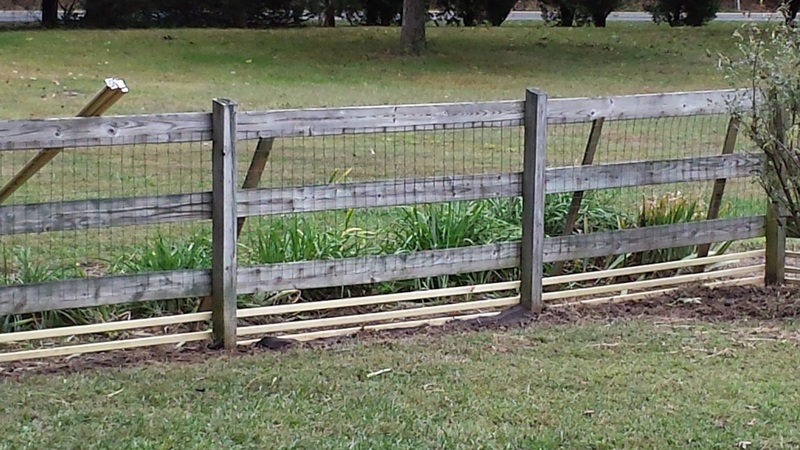 Added 1″ x 2″ x 8″ boards to fence. The bottom wire-fence material was removed; it was a pain to weed-wack year after year even though mulch and landscaping fabric was added to the base of the fence each year. About 50 1 x 2 boards purchase; the majority from Lowes which has better quality lumber than Home Depot in this case. A dozen or so were purchased from Home Depot and they were slightly thinner. In addition, it took a while in the store to find a dozen good ones to use. Replaced the 1″ x 4″ post trim with old barn wood I had in the garage; great wood but will need to be stained/sealed for this outdoor use. Hence, power-washed the old fence to prep for staining/sealing. PHOTO: shows fence before power-washing and staining. 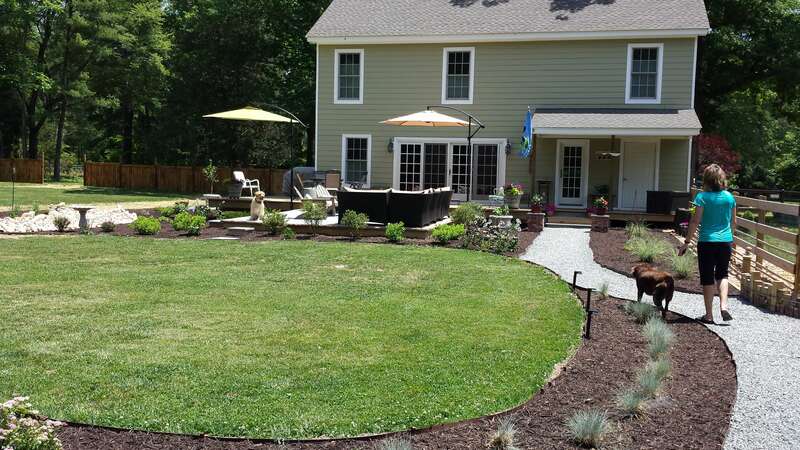 Pavers, cap rock, gravel, sand, fire pit, furniture, etc. Foundation Border: A landscaping border about 2′ wide was added adjacent the foundation at the south side of the property. A treated deck board border was constructed by ripping left over deck boards in half and subsequently screwing the two 2 1/2″ pieces together (doubled the thickness). The ground was covered with thick landscaping fabic and river rocks purchased in bags from the local home store. Cost: driveway renovation and new parking area: about $1.00/sq. ft. (included removal and relocation of the old top-coat and pea gravel, grading, base & top coat stone as well as building a berm using soil I purchased previously). Again, obtain multiple quotes; our quotes varied by over 25% for basically the same scope of work. We have a rather large semi-circular driveway that needed renovation. We hired a grading company to remove the old top coat which included pea gravel (not good for driveways by the way). It was loaded in a dump truck; we re-purposed it onsite so there was no disposal cost. The existing driveway is just under 3,000 sq. ft. and we created a new parking area which is about 400 sq. ft. (20′ x 20′). The contractor used a laser-level to mark the proper slope for drainage, and then the driveway was graded down to a solid base. Given the driveway has existed for decades, the base was very solid. Once sloped properly and graded, about 60 tons of base stone was spread and graded. Subsequently, about 20 or so tons of #8 stone was added as a top coat (about 2″-3″ of top coat). We also added a small parking area for two cars off to the side of the driveway. Since we had the heavy equipment onsite, we had the contractor build a berm adjacent the road; about 20 yards of dirt was used to build the berm. We used another 10 yards of top soil to fill in the semi-circular area around our very large maple tree; not much grows under that tree so we covered the area with landscaping fabric and mulch. I planted (5) Nellie Steven’s Hollies and (4) Schipkaensis laurels on the berm as a privacy hedge adjacent the road. Rick at the nursery said they just bought out another nursery that went bankrupt; as a result they purchased a lot of the above shrubs. They were much less expensive than the same size shrubs at the other local nurseries. The same size Nellie Stevens Holly was $75 at Colesville Nursery. Colesville Nursery does NOT guarantee the shrubs; Great Big Greenhouse does. Also, the Great Big Greenhouse has a monthly flier with coupons; $35 total discount on this purchase.